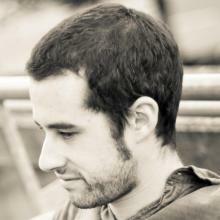 David is a social researcher (PhD in Sociology) and computer scientist (MsC and BsC in Computer Science) interested in the intersection between the technical and social aspects of technology. More specifically, his research is focussed on the use of free/libre technologies to foster the development and scaling-up of Commons-Based Peer Production communities. He is currently a postdoctoral researcher at Universidad Complutense de Madrid in the P2P Models project. The project is exploring decentralised technologies, such as Blockchain, with the aim to provide mechanisms that facilitate more democratic and decentralised organisational processes, as well as new models of distribution of value in the context of Commons-Based Peer Production. His doctoral research, under the supervision of Professor Nigel Gilbert and Dr Paul Hodkinson at the University of Surrey, concerned individual involvement and group dynamics of Commons-Based Peer Production communities, focussing on the development community for Free/Libre Open Source Software, Drupal, in the context of the FP7 EU project P2Pvalue. He previously participated in the FP7 EU project QLectives (Quality Collectives) at the University of Surrey, and the FP6 EU project ASTRA (Awareness Services and Systems - Towards Theory and Realization) at Norges Teknisk-Naturvitenskapelige Universitet (Trondheim, Norway). He has also worked as a technical lead in several social, educational and cultural projects based on Drupal for the company Educatic (Madrid, Spain). Additionally, he has participated in free software communities for over fifteen years.